The society accepts original records of permanent value and certain types of temporary records on deposit. PC(USA) congregations, mid councils, and national agencies are encouraged to deposit their records at no charge in our secure, climate-controlled archives. Session minutes and registers are of chief importance, but we also hold minutes of other church councils, including deacons, trustees, women’s associations and youth groups. 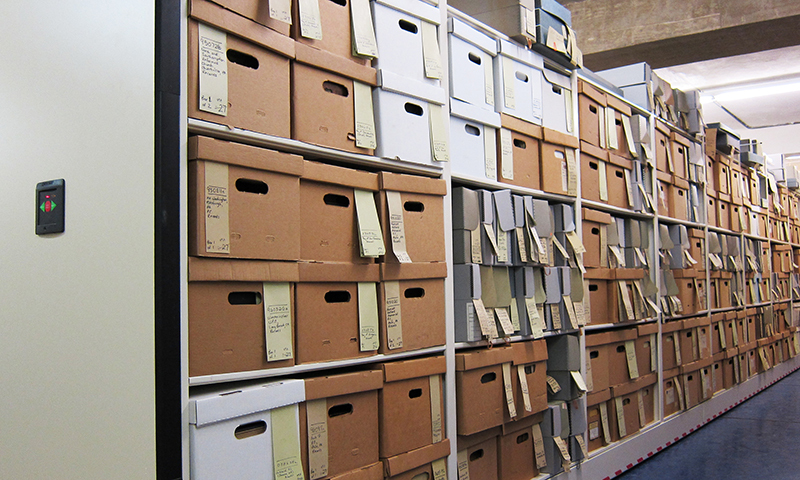 Records are housed in an environmentally controlled archival storage area with specialized fire detection and security systems. Congregations retain ownership of the records on deposit and may request the return of records at any time with written authorization from the clerk of session. Before packing and shipping records to us, please consult your retention schedule, or contact the society to make sure you are shipping only records of permanent value. We recommend shipping records in as near their original state as possible. Do not cut the text block out of bound volumes. Do not remove bindings. Pack the materials in a sturdy, corrugated cardboard box, densely enough that volumes are unlikely to shift, insulated from the edges of the box with bubble wrap or wadded packing paper.